The online world is more crowded than ever and it will not get easier. Even simple channels like Search Engine Marketing like Google Adwords becoming more and more complex or let’s say you have to be more sophisticated to stay ahead of your competitors. Therefore, it is essential that you know the basics in order to capture your online opportunities and maximize your digital footprint. As part of my tutoring at General Assembly I compiled useful information regarding SEM and put it into a PDF file, that you can download at the end of the post. But let’s start with some tipps I recommend to get familiar with when you start with SEM particularly for Google AdWords. Do we need Search Engine Marketing? This question comes up in client meetings a lot of times. I do not want to protect my job but my answer is definitely yes. SEM is an easy way to reach out to your customers even in a B2B business. Today, people have the option to research online at every moment, it is just one gesture away! The smartphone has changed the entire consumer journey and it is not just Awareness, Interest, Desire, Action (AIDA) anymore, it looks pretty much like the picture to the right. One way to capture consumers search queries is to use SEM. This is something that companies often forget. Yes, Google is the dominant player among search engines but there are others too. Especially towards the East you find a bigger variation of search engines e.g. Yandex, Bing/Yahoo, Baidu, and/or Seznam. Try them out, figure out where your target audience is and what kind of Search Engine are they using. This is important especially for worldwide campaigns! Always start with your Goals and then the strategy! The fourth point is a very important one, that often marketers and companies overlook. The Landingpage and the Ad need to be inline, anticipate how and what users are looking for in their Search Query. The better the three harmonize the cheaper the bidding price is you pay for! You have to analyze your website with e.g. Google Analytics where the traffic is coming from, what to they search on your website, where they leave, this insights help you to adapt your content accordingly. Create special Landingpages for myriad channels, create relevant content that makes users stick to your site, and make it easy to navigate through your site. This may be a good time to do some A/B testing with your message, picture, and colors. Get creative – and most importantly never stop trying new things. It takes time to find your sweet spot. And so, what are keywords? 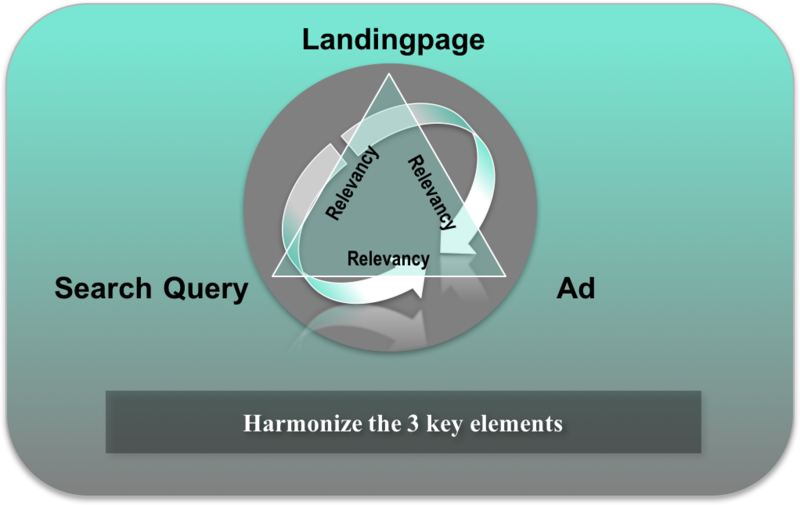 Ultimately, keywords are summation of people’s need as they type or speak them into the search engine. They are also ideas that users have. And that is almost like finding the needle in a haystack for marketers. What kind of words or phrases does my target audience use to search for certain products or services. There are tools like Google Adwords Keyword Planner that gives you an idea what keywords you might use, or Google Trends gives you insights about a search trend or seasonality. Use as many sources as possible and sometimes the most obvious one we forget, ask your customers or friends how would they search for your products or services. Start with a few and slowly add some new ones. Pause the ones which don’t perform or may be investigate why they don’t perform. The last point is a simple one. 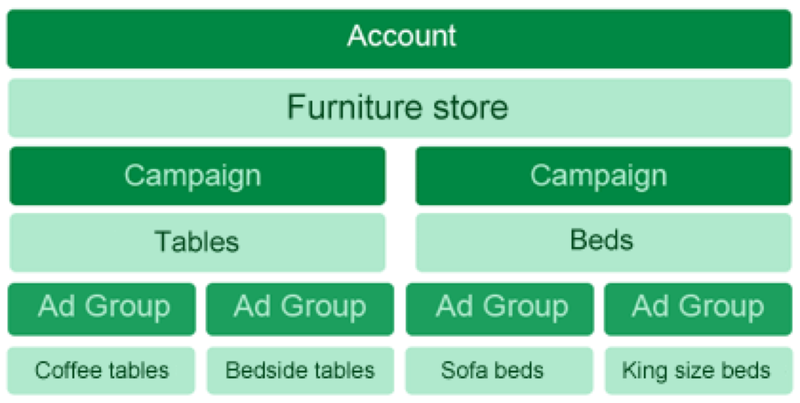 Set up your account structure in a logical way. Separate languages, brand & non brand campaigns. This will help you to improve your campaigns properly and you never loose the overview. The set up should be easy to enhance the campaigns. May be you start with a few keywords and campaigns and over time you end up easily with various campaigns, ad groups and hundreds, or thousands of keywords. What is your experience with Google AdWords, are there points that you might include in the Basics? Let me know.